Here is the progress so far. 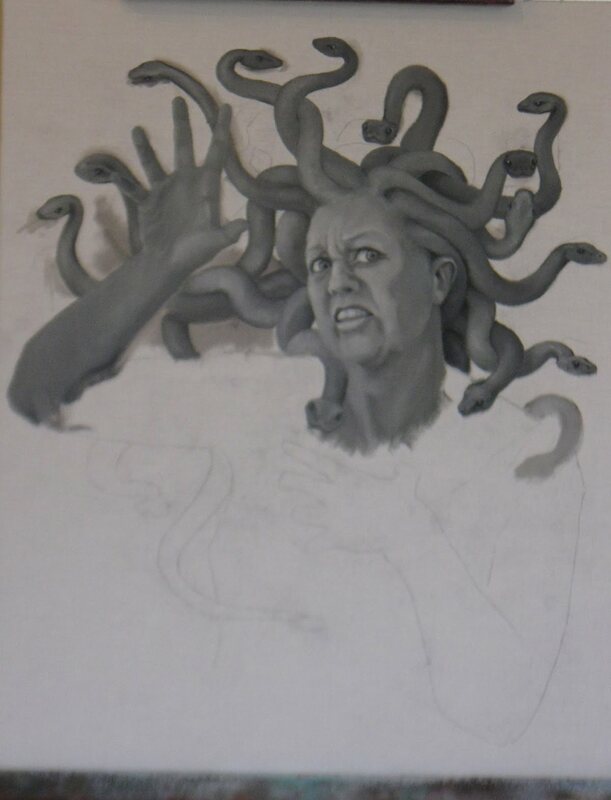 I will start the snakes tomorrow. When I looked for my graphite paper at the studio on Sunday, it was no place to be found. So instead of waiting to go to my local art supply store, I used a centuries old method of getting my drawing onto my canvas. 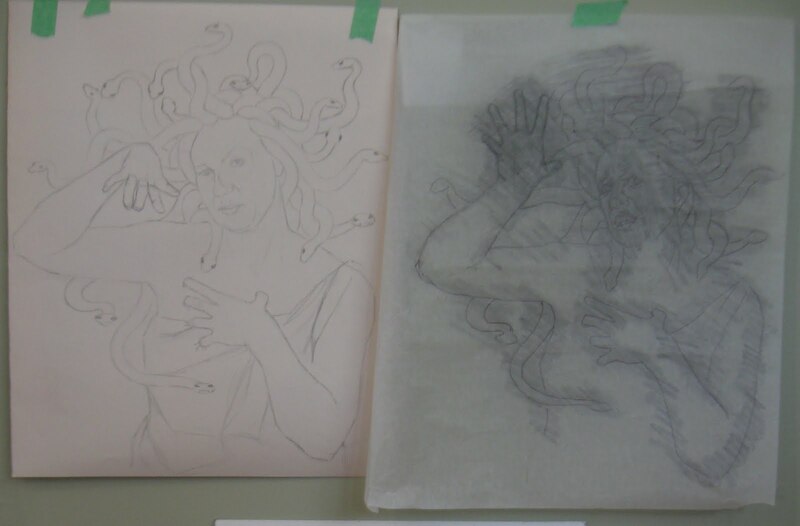 On the backside of the tracing paper that now has Medusa reworked, I took some hard charcoal and rubbed it all across the back of the tracing paper. 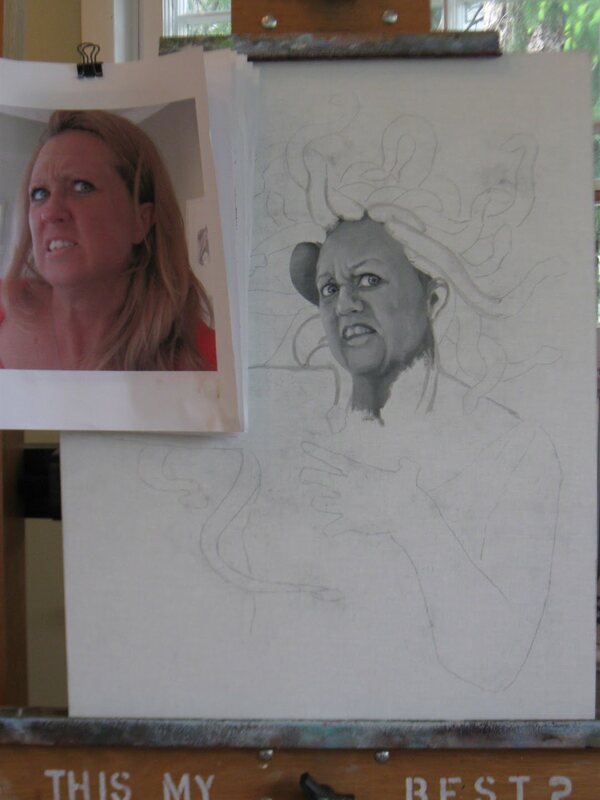 I then shook off the loosest pieces of charcoal and laid the tracing paper over my canvas board, affixed it in place with some tape and then proceeded to trace the outline of the drawing with a stylus or ballpoint pen. 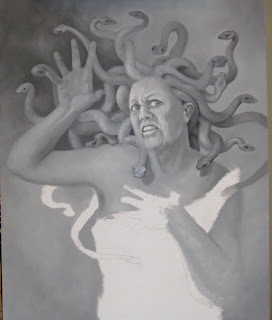 I was careful to apply enough pressure to push the charcoal onto the canvas and yet not leave any indentations from applying too much pressure. This leaves a delicate tracing, that you must be very gentle with so as to not smudge or remove the drawing until you can permanently get it drawn onto the canvas with a grisaille. 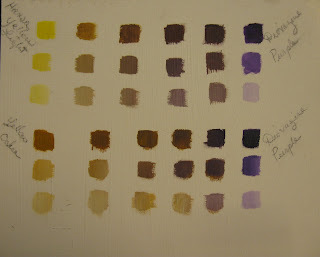 I like a blue grey oil paint thinned with odorless thinner to do my grisaille. 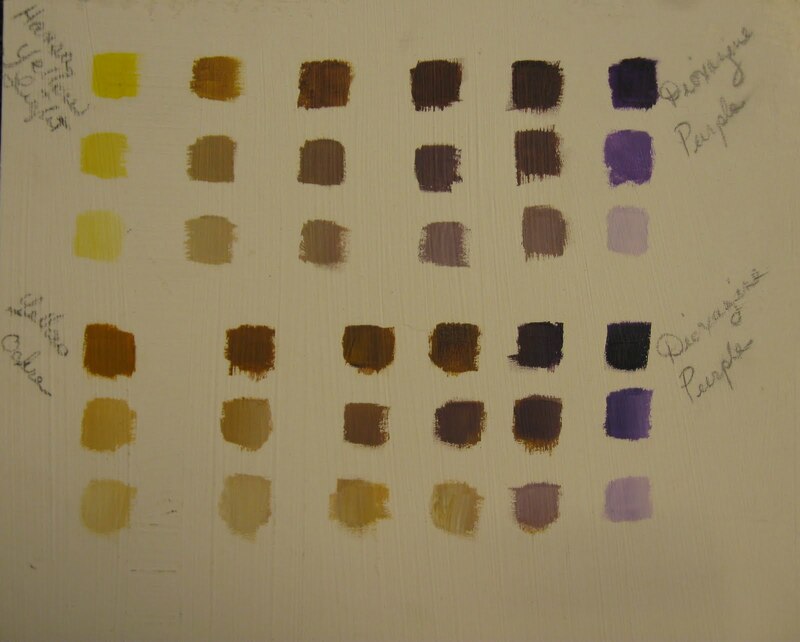 For this grisaille, I am using Gamblins' Torit Grey. 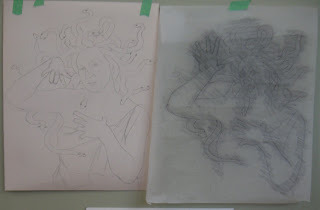 You can see in the photo that the tracing paper hand is now raised and very dark....I did smudge it a bit, but not enough to ruin it. You probably can't make out the new expression on the face, but in the next step, you will be able to see the changes. My model Jennifer, is such a good sport. 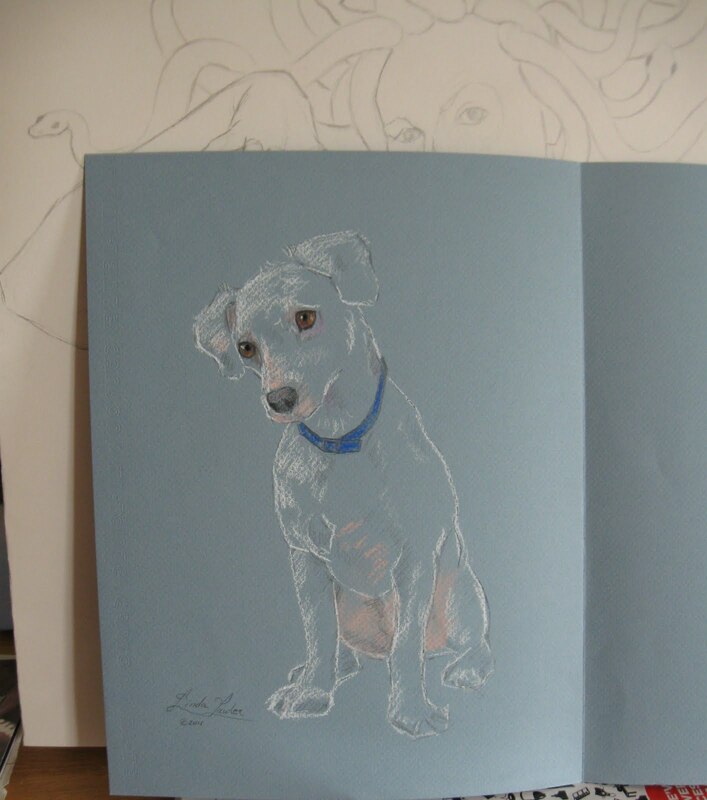 And so I did this little sketch of her dog, Bronson, as a way to thank her for all the free modeling she does for me. Models are hard to come by in the country. Bronson is done in Conte and pastels on blue Canson paper. Behind him is the original sketch of Jennifer as Medusa. I have since redrawn her. 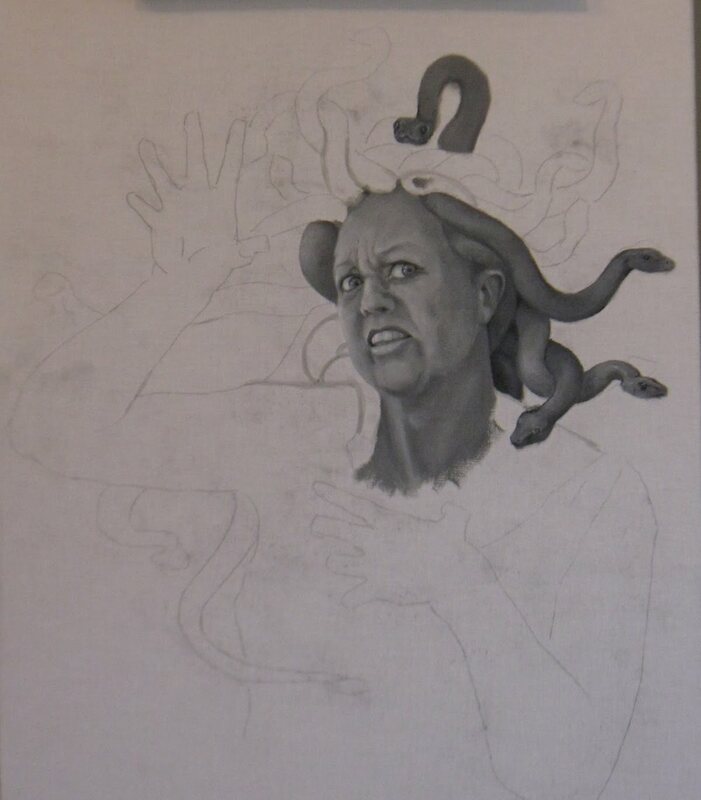 New Medusa photos are coming up soon.